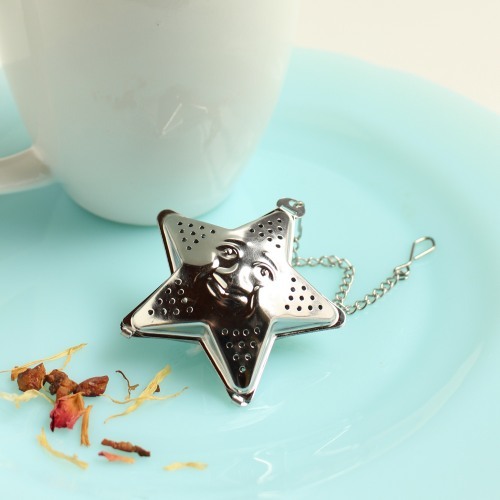 Perfect as a baby shower favor, these star tea infusers are fun and practical items your guests will love to receive. Easy to use, simply fill the infuser halfway with loose tea, hook inside the cup, and pour in hot water. Let steep for three minutes and you're all set! Also great for mulling spices for cooking and baking, making hot apple cider, spiced wine, and other drinks.